The story picks up some time after the original series finale, but before 24: Live Another Day. It basically follows what Jack was up to while on the run. The story was okay, but it wasn't great we get introduced to these character Jack for a relationship with while living his new life but we don't know enough about them to care and there isn't any real point to what little action we do see. 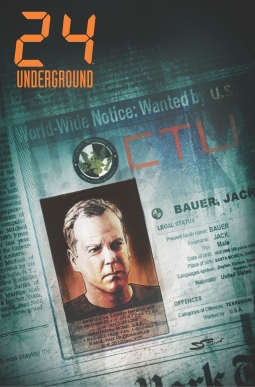 It could have been better, but overall it is Jack Bauer so it's still pretty awesome, because again it's Jack.